DOVER, Del. 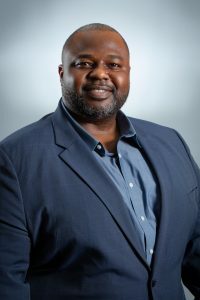 — The Delaware Department of Technology and Information (DTI) is pleased to welcome Solomon Adote as the new Chief Security Officer. Solomon will be responsible for enhancing and improving the state’s cyber security strategy, including the design and execution of the Delaware Information Security Program and the Continuity of Government and Disaster Recovery Program. Solomon brings great experience designing comprehensive information security programs and deploying some of the industry’s leading technologies. He has also developed hybrid-managed and in-house Security Operations Centers (SOC) and led the architecture and implementation of secure computing environments for both public and private clouds. Most recently, he led FMC, Inc.’s global IT cyber security team for six years. He was responsible for the security of a complex, 90-site international manufacturing and corporate network. His team covered all aspects of cyber security —from network security, application security, incident response, identity and access lifecycle management, to internet and remote access. Solomon also previously worked as an IT security technical lead at QVC Inc., the third largest e-commerce company in North America, where he secured a dynamic Payment Card Industry (PCI) compliant credit card processing environment with a web presence in multiple countries. Solomon’s educational accomplishments include a Master of Science in Computer Information Technology degree from Regis University and various industry leading certifications including: Computer Information Security Management (CISM), Certified Information System Security Professional (CISSP), Cisco Certified Network Profession in Security (CCNP-S), Certified Ethical Hacker (C|EH), and SANs Firewall Security Analyst, among others.